Hi! My name is Dana, and I am the proud and happy mama behind Little Chief Covers! We make versatile baby covers perfect for covering car seats and for breastfeeding, among many other uses. Little Chief Covers makes just one thing, and we make it well. Each Little Chief Cover is a soft, breathable, stretchy and versatile baby cover. 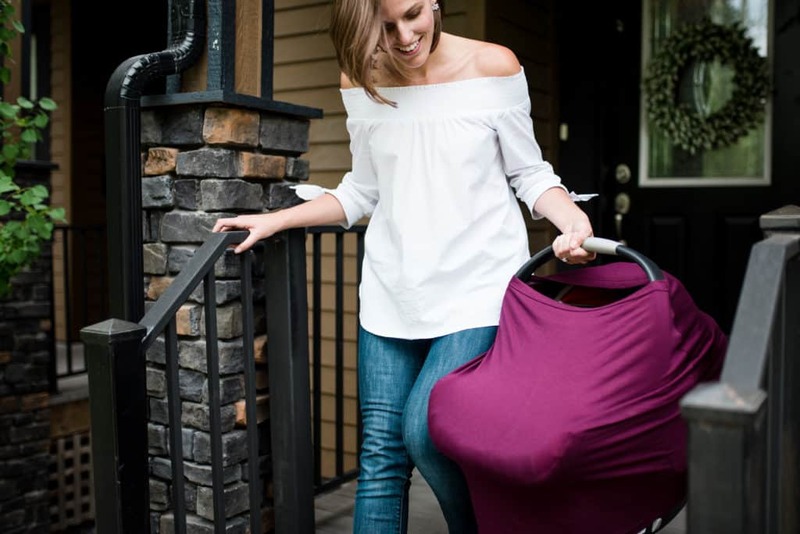 The same item works quickly and easily as a car seat cover, a breastfeeding cover, an infinity scarf, a baby-wearing carrier cover, a stroller blanket that can’t be kicked off, a swaddle blanket, and more! 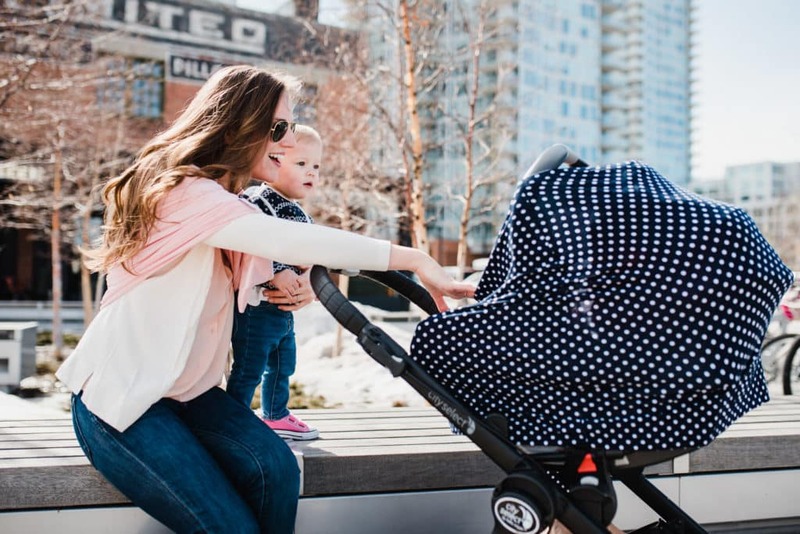 Each Little Chief Cover also comes with its own built-in pocket, for clean and compact storage when your cover isn’t in use, and for keeping handy all the things a new mom needs when you are using it. Thoughtfully designed and locally produced, Little Chief Covers is focused on the one versatile baby product that we’re passionate about making the most invaluable item in every new mom’s diaper bag. What were you doing prior to launching and running Little Chief Covers? Little Chief Covers was a happy accident, something I came up with while on maternity leave from my job as a lawyer. My career is in corporate law, and before that I got my business degree from McGill University with a focus on entrepreneurship. When I developed the first cover, for my own little chief love, it was because I wasn’t happy with the other car seat covers and breastfeeding covers I saw in the baby stores near me, and I designed it while she was napping (over the course of many, many naps!). My educational background and job experience working with companies gave me the drive and skills needed to launch Little Chief Covers the company, and my Little Chief gave me the inspiration. I guess you could say that I am just bad at “sleeping while the baby sleeps”! I love how you came up with the name Little Chief Covers. Please share the inspiration for the name. After developing the idea, I struggled for a while to come up with a good name for the brand. Everything seemed too cheesy and impersonal. Then it dawned on me that I should name the product after the baby that inspired it! My husband’s pet name for me has always been Chief, as in his chief love. Naturally, when I was pregnant with our daughter, she became known as the Little Chief love of our lives, and the name Little Chief just stuck, even after she was born and given a real name. To the point that she still responds to that nickname and we sometimes get stares when we’re calling her at the playground! Little Chief Covers are named after my little chief love, and designed with the needs of every new mom’s littlest chief love in mind. What sparked the idea/concept for Little Chief Covers? I’m obsessed with thoughtful design. 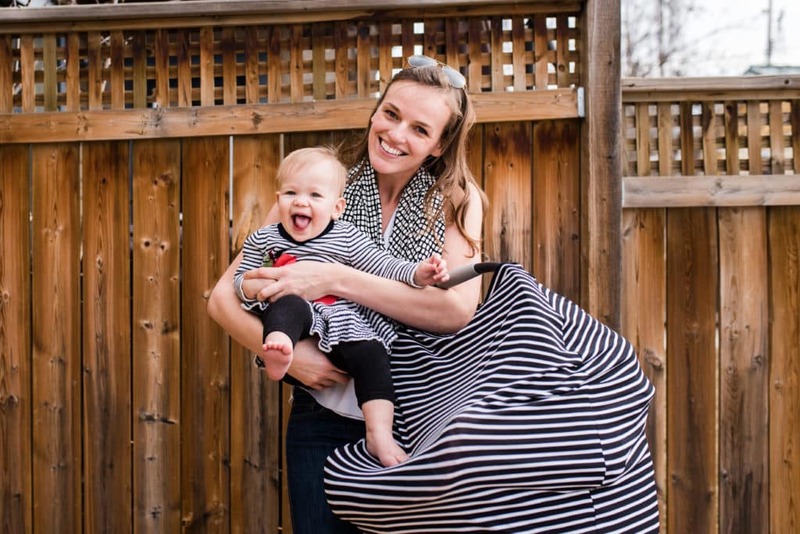 I had my daughter – the littlest chief love of my life – in a particularly cold Canadian winter, and the bulky and heavy car seat covers on the market just didn’t cut it in our windy climate. They also took up way too much space in an already-crowded diaper bag. 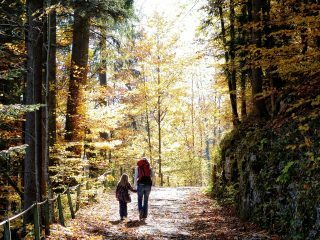 In the spring and summer, I wanted to be able to spend time outdoors without worrying whether my infant was getting too much sun, too much wind, or bug bites on our long riverside walks. And I wanted to be able to peek in on her when she was napping in the car seat without lifting a giant blanket and waking her up with the change in lighting. Though I didn’t always use a nursing cover while breastfeeding, I didn’t like the top and side exposure of the traditional apron style nursing cover, and my baby didn’t like being under the stiff fabric. My solution was to go to my local fabric store and design a stretchy, lightweight cover that could solve all of these problems, all in one product. Then, because I’m “Type A” and want everything in its place, I added a compact storage pocket so I could fold the cover in on itself into the pocket to keep it clean and to take up less space in my diaper bag. As my Little Chief gets older, I am finding it has so many more uses than I original thought, which is definitely a bonus considering the short shelf life of so many other baby essentials. Describe the moment when you decided to dive in headfirst and launch Little Chief Covers? What was the final factor that motivated you to take that leap of faith? There was no any one single moment that led to Little Chief Covers. When I would be out and about with my Little Chief in her car seat or stroller, other moms and aunts and grandmas kept asking me where I got her car seat cover. I was always out, taking sunny walks, going to the grocery store, meeting friends, going for play dates and such, so this added up to a lot of inquiries. In Calgary, where I’m from, we have a lot of new moms and growing families! Eventually, there was enough critical mass of interest that I thought, hey this could be a business idea. I spent months researching – where to source quality fabric, product health and safety rules in Canada, the optimal ways to sew stretch fabric, labeling requirements (we’re bilingual in Canada, after all!). Once I found good suppliers for everything I needed, I crunched the numbers, and eventually just decided to go for it! What has been the hardest thing about running your own business with a young child? As any mom of babies or toddlers knows, any task can be tough with a little one that isn’t in the mood! My Little Chief comes first, so when she’s teething or sick or having a toddler tantrums kind of day, my to-do list takes a back seat to her needs and to the needs of my family. Thankfully, I’ve always been really organized and able to juggle multiple roles, so our shipments tend to go out within 1-2 days! 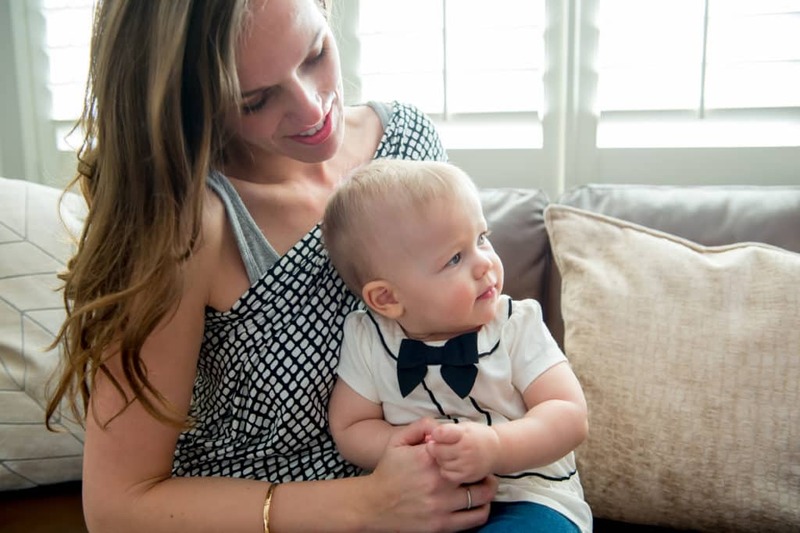 What’s one piece of advice you would give to other moms who want to launch their own business? Go for it! If you’re a mama and you want to launch your own business, I’d encourage you to dive right in! I wish I had done it sooner. As an entrepreneur, you have to learn on the fly, make things happen on a limited budget, and constantly grow and develop – kind of like being a parent! 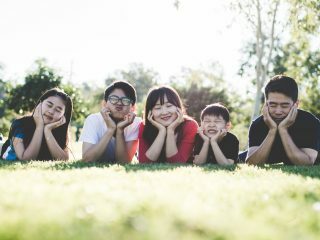 At the very least, your kids can learn the value of hard work, creativity and pulling together as a family by watching your efforts, so in that sense it’s a win-win! As moms and entrepreneurs, we’re always trying to find balance. How do you practice or keep balance in your own life? The honest answer is I wish I had more balance in my life! There’s always so many things to do, and investing in my own health and wellness can all too often slip down the list. I work full time in addition to my home life and the Little Chief Covers venture, so I really emphasize being present in the moment (especially when I’m with my wonderful family). You also can’t beat a good night’s sleep and a (mostly) healthy diet! Haha! I’m not going to answer this question because it can be so insanely busy, and I don’t want to turn any of your readers off of their dreams of starting a business! Let’s just say sometimes my day looks like a circus, and I just try to be the best juggler/clown/lion tamer/ringmaster that I can be! Your covers have MANY uses – can you describe each one? Little Chief Covers have tons of uses! CAR SEAT COVER – Each one is a stretchy, breathable fabric tube that slides right over any model of infant car seat. 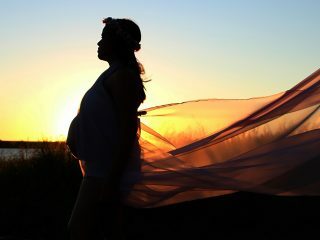 It gives your baby shade and protection from the elements, and temperature regulation in all seasons. You can pull the top window down to make lovely dovey eye contact with your little one, or stretch it up tight to provide privacy and (fingers crossed) extend a nap! BREASTFEEDING COVER – Little Chief Covers can provide 360 degree nursing privacy for moms. Just pop the stretchy, lightweight cover over you and baby in any style you want (your arm in or out) and you have a private little cocoon for breastfeeding moments. 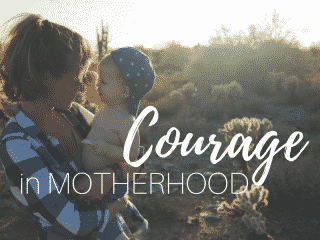 I would never advocate that nursing moms cover up because of others, but some women prefer the privacy, and some babies are so distractible that they absolutely need the little cocoon to focus on the task at hand. HIGH CHAIR COVER – Once your little chief love starts sitting, you can benefit from being able to sit them up in restaurant high chairs or grocery store shopping carts, park swings, etc. It’s great because you can finally use two hands again! But it’s not great because high chairs, shopping carts, swings and other baby seats are notoriously grimy and germy. Stretch your Little Chief Cover over any of these seats and suddenly you’re a little less worried about your little one shoving their whole fist in their mouth after touching these public surfaces. 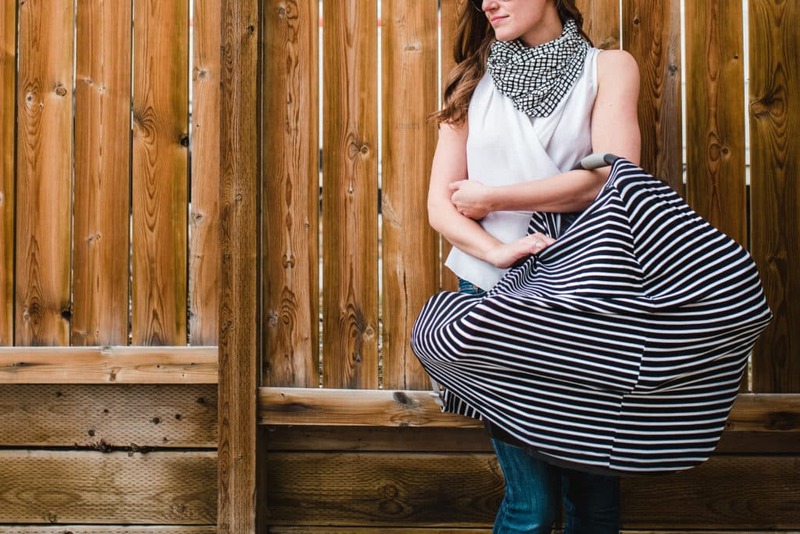 MAMA SCARF – If your baby is a spitter, at some point you stop changing your shirt for every little dribble and you start wearing stylish infinity scarves. Little Chief Covers do that too! 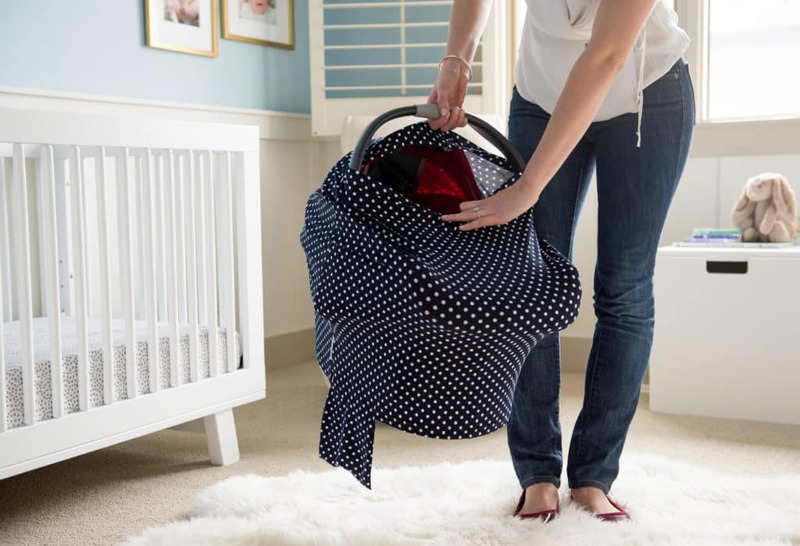 GENERAL ALL-PURPOSE BABY COVER – Our lovely customers have told us all the other uses we never imagined that Little Chief Covers could be used for? Need a stretchy, soft fabric for a swaddle on the go? Little Chief Covers can do that. Need to keep your stroller blanket on your babe but they keep kicking it off? Little Chief Covers wraparound-the-seat design can keep little kickers covered. Love to baby wear but need a light layer to protect your baby’s arms and legs from sun and wind? Little Chief Covers stretched over a baby carrier can do that too! In all these uses, our built-in pocket is convenient for keeping all your mama essentials handy, or for folding the cover into the pocket for clean, compact storage in your diaper bag! I know material is important to you – can you explain what type of material is used to make these covers? Fabric is super important for all baby products. Each Little Chief Cover is made from a lightweight spandex blend, for just the right amount of stretch. The rest of the cover is made from either a lightweight rayon derived from wood pulp for a smooth and silky feel, or from breathable and luxurious bamboo for a luxe feel. Both options are lightweight and breathable, and both feel lovely to the touch while also keeping your baby safe. I love the names of your different covers (“You Spin Me Right Round” “It’s Wine O’Clock” etc.) How do you come up with these? Our product names are corny, just like my humour. Our soft pink is You’re Making Me Blush. Our timeless burgundy is It’s Wine O’Clock. Our blue bamboo stripe is Peek A Blue Bamboo. Our bright and fun chevron is Zig Zag Zoo. Our monochrome bicycle print is You Spin Me Right Round. I like country music so I wanted to name our paisley pattern “Brad Paisley” but I decided not to! The product is so multi-functional and serves some very important functions, but it’s also beautiful and fun and worth having a laugh about, so I gave the covers fun names to keep it light! Little Chief Covers come in ten different colours and patterns, so we try to have something that would appeal to everyone. That said, I’d say our overall aesthetic strongly appeals to the modern mama. 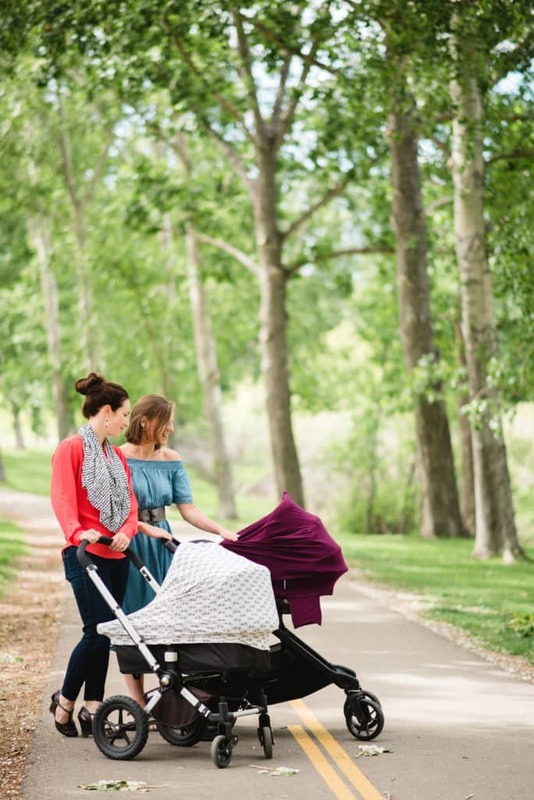 Little Chief Covers are designed with the stylish, modern mom in mind. There are lots of cute baby-ish prints and designs out there, but when you’re a strong, fashionable woman and you just got your body to belong to yourself again (or as much as it can if you’re nursing and/or covered in spitup!) then you want to look good. In that case, monochromatic prints, classic patterns and timeless, chic colours are much, much more attractive than yet another cutesy dinosaur or unicorn print! 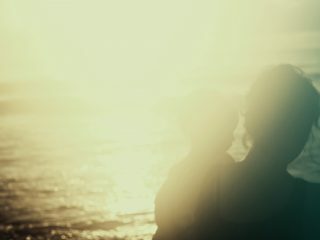 To me, success looks like helping to raise a strong, curious, modern young woman from the adorable toddler that she is today, and enjoying time with my family as we grow. Little Chief Covers is a family venture, and so I hope that her seeing her mama work on something inspired by the Little Chief, as we call her, will help model the strength, work ethic and attitudes that I want her to have. What’s next for you and Little Chief Covers? Your readers will have to follow along on our social media to see! What’s the best part of running your own business? The best part of running a business is that I am able to model the work ethic, perseverance and creativity that I want to show my kids over time, in a way that I couldn’t with my day job because they’re not there to see it! How can we support you and Little Chief Covers? Little Chief Covers are extremely popular as baby shower gifts, because they’re pretty and nice and for mom, but incredibly useful and multi-purpose for all of baby’s needs. So the best way to support us is to buy one for the new mama in your life! We also love to connect with our users and community of moms, sisters, friends (and some dads!). We welcome you to connect with us on Instagram and Facebook at @littlechiefcovers. 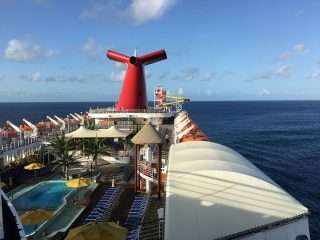 Any special offers/announcements you want to share with our Tribe readers? As a thank you for all the Tribe readers for taking the time to read the story behind Little Chief Covers, we’d like to offer all Tribe readers a 20% discount on their first order of a Little Chief Cover! All you have to do is go to our site, www.littlechiefcovers.com, and use code TRIBEMAMA!